An image that freezes time. I have chosen Eddie Adams’ “General Nguyen Ngoc Loan executing a Viet Cong prisoner in Saigon” as my image, not only does this single image manage to capture and encompass the terrible consequences of the Vietnam war, but also speaks volumes about its two main models, which have more to tell than just what is seen in the picture. The General in said picture executed this specific prisoner for shooting multiple soldiers in his regiment. The General in question’s career was ruined, which Adams acknowledged and apologized for, as seen here: “The general killed the Viet Cong; I killed the general with my camera. Still photographs are the most powerful weapon in the world. People believe them; but photographs do lie, even without manipulation. They are only half-truths. 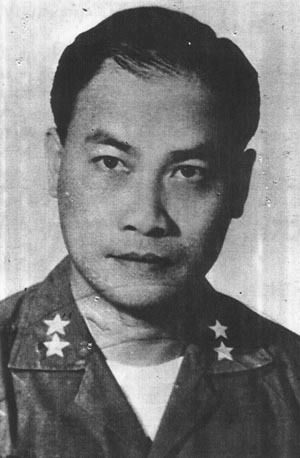 … What the photograph didn’t say was, ‘What would you do if you were the general at that time and place on that hot day, and you caught the so-called bad guy after he blew away one, two or three American people?” When Nguyen died, Adams praised him as a hero of a just cause. This image became the iconic image of the Vietnam war, for its brutality and representation of the loss of life throughout that crazy Asian war. Adams as a photographer is known well for covering thirteen wars and being an amazingly accomplished artist, his influence inspiring not only many of his colleagues but also thousands of students that used the workshop he created and taught for many years. A man famous for wearing all black and a pork pie hat, he was just as striking in person as he was from looking at his work. As much as he managed to ruin the General’s career, this shot also greatly influenced his own to the point of frustration for Adams. As well known as he was for his skill in photography and long, fruitful career, this shot shadowed over his career since its capture. Throughout his tours of Vietnam Adams was becoming more and more frustrated at the lack of independent work he was receiving. He was either going on missions with the marines that were uneventful or the missions he went on were not exclusive to him and other photographers who didn’t work for the AP were getting the exact same shots. On the day that Adams took this shot he was on a routine trip to a small fire-fight with one or two other photographers when he saw a prisoner being pulled from a building. ‘ So we went there and it was really nothing, it was a nothing story. So we spent about fifteen minutes there, and we decide to head back. We got maybe thirty yards up from the pagoda and saw Vietnamese troops pulling this guy out of a building. To backtrack a minute, any photographer news photographer, when cops or anybody grabs a prisoner in New York… you just follow them. I mean, its a picture. They call it a Perp (perpetrator) Walk.’ What followed was the shooting of an unknown Viet Cong soldier by the National Police Chief of South Vietnam, who would several weeks later be promoted to General ( not for the shooting). When Adams was processing the image he didn’t think much of it and didn’t for many years.’ When i took the photo, I absolutely thought very little of it and said “I think I got this guy shooting somebody” Then went to lunch. When I saw the picture I wasn’t impressed and I’m still not. it was not a great work of art in terms of photography. Number one its the wrong time of day, the light wasn’t right. Its a news picture, The composition was terrible. As much as Adams disliked the picture it became the face of the Vietnam War then and now it is still revered as one of the greatest photographs of all time, and to this day encompasses his amazing career and reduces the War to a single frame of time.